If Nikola Tesla’s discoveries were always a point of interest for the foreign intelligence agencies, his correspondence with Maria Orsic must have been the number 1 priority. 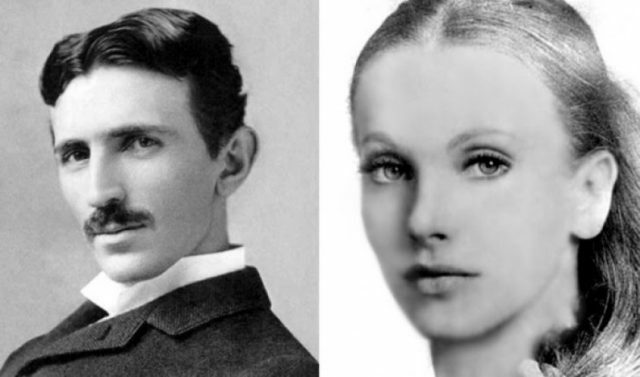 Nikola Tesla and Maria Orsic have a lot in common. They were both native to former Yugoslavia, without children, both vegetarians and animal lovers. More importantly, they were both closely monitored by the military and intelligence agencies. Tesla was monitored by CIA and FBI agents, while Maria was followed by the Gestapo and the SS. As the Alasul portal reports, if Tesla’s electromagnetism discoveries were of utmost interest for the foreign intelligence services, then his correspondence with Maria would have certainly been labelled top interest as well. What especially bonds Maria and Tesla, and was of interest for the foreign services, were their UFO related discoveries and extraterrestrial contacts. Tesla was a scientist and an electromagnetic expert, but Maria was just a regular long haired girl, with an affinity for ballet and languages, until she all of a sudden fell into trans one day. Since then, she started acting as a medium and while in a state of trans she started receiving various technical information and directions on how to construct a UFO. Detailed plans and UFO designs were recovered among Tesla’s files. What’s even more peculiar is that Maria claimed to have gotten the instructions in a Sumerian dialect from the planet Alpha Centaury. She also received information about the creation of the universe, lost cities like Atlantis and technical information on how to build a ‘flying machine’. In order to interpret her designs, her father got her in touch with Dr. Otto Shuman. Based on these designs the Germans tried to build a UFO in 1922 but the project was doomed since the first flight and was a complete fiasco. Just three days later, Maria returned to Dr. Shuman with new information and they allowed for a new model to be constructed, one which flew for 55 minutes and at one point reached speeds of 300.000 km/h. Tesla on the other hand, wrote about aliens in Sanskrit. He claimed that there are two types of aliens who are at war between each other. For the sake of mankind, Tesla designed a weapon he called ‘The Death Ray’ which, according to him, was able to destroy any kind of spacecraft. “I’ve devised a way for people to transport enormous amounts of energy from one planet to another, regardless of the distance between” Tesla said in a statement in 1931. The US President Eisenhower, without the Congress’ knowledge, approved massive funding for the construction of a research facility that will operate based on Tesla’s files. Tesla died in 1949 in New York and the American government confiscated all of his files and records immediately. Maria Orsic disappeared in 1945 without a trace. It should be mentioned that in march that same year, in a state of trans, she received information about the fall of Nazi Germany before the end of 1945.